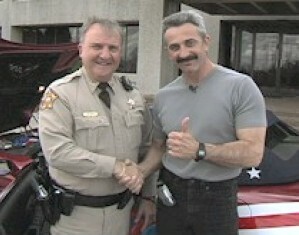 Country Music Star, Aaron Tippin congratulates Captain Joe and the WC Prevention Partnership on the great job they are doing in the field of drug and violence prevention. 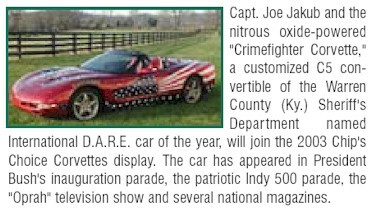 Captain Joe and Aaron recently stared in the TV Special entitled "Made in America" (Corvette Plant, Bowling Green, KY) that aired in August on the Great American Country Channel nationally. Copyright © 2003 VulcanLogix, Inc. All rights reserved.